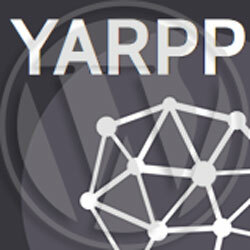 Yet Another Related Posts Plugin or YARPP is a very popular WordPress related posts plugin. It supports different display options, the most interesting among them is support for custom templates. 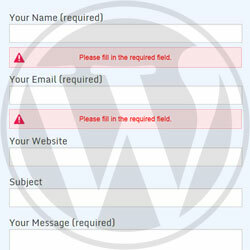 YARPP comes with built-in templates from which we can choose from, but we can add our own templates as well. This gives us ability to really customize the look for the YARPP related posts. This article will show how to activate custom templates, how to edit existing or create new ones and finally it will show some useful code snippets that can be used in them. Simple yarpp-template-example.php Simple list of related posts. If none are found, "No related posts" message is shown. List yarpp-template-list.php Returns a comma-separated list. Multilingual yarpp-template-multilingual.php For use with WPML and Polylang plugins. qTranslate-X plugin can simply use any other template. Yet Another Photoblog yarpp-template-photoblog.php For use with Yet Another Photoblog plugin. Random yarpp-template-random.php Same as Simple template, except if no related posts are found, a random post is shown. Thumbnails yarpp-template-thumbnail.php A list of related posts with post thumbnails. If none of the above suits your need, then you can either edit the existing template or create a new one. All of the mentioned custom template files in the above table are located in the active theme folder. They all start with the yarpp-template- prefix, so to make a new template, we would use that prefix and give it a name (for example yarpp-template-myawesomelist.php). 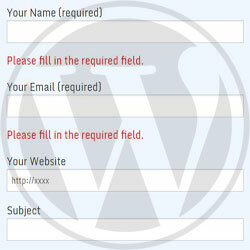 The templates work as a regular WordPress template. We set the template name, author name and description inside the comment header at the beginning of the template, following by code containing a WordPress loop that goes through the list of related posts. Instead of creating a new template, you can of course simply edit one of the existing templates. Note: If you want to reset the templates and get "Copy templates" option back in the plugin settings, delete all the plugin template files with the “yarpp-template-“ prefix in your theme folder. Here the code checks if there are posts in the loop. This is where the loop of the posts starts. This code outputs related post. Here we add the code when no related posts are found. We can have a simple HTML message as above, or something more complex. For example, in built-in Random template, the code returns a random post. You also need to make sure that your theme support post thumbnails by having add_theme_support( 'post-thumbnails' ); code inside the functions.php file. For more information check add_theme_support Codex page about about this function. Sometimes you might want to make sure that posts with specific categories are not shown in the related posts. We can achieve this by doing something like the code below. Notice that the relevant code is placed just after the loop. YARPP also known as Yet Another Related Posts Plugin is a popular WordPress related posts plugin. It has support for custom templates, so we can present the related posts in our own way. This article listed the built-in ones and showed how to edit or add a new custom templates, examined the code inside one of the template and finally showed code examples for features that we can add to our own templates. If you found this article useful, take a moment and drop a comment or share it on social networks. Let me know, if you have any other suggestion for modifying the custom template and I might add the necessary code in the list. The code for style.css, please !!!! This site uses YARPP, so you can simply check the CSS styles that YARPP uses here and then modify it to your liking.